The Red Sox have been invited to attend the White House as a reward for their 2018 World Series win, team CEO Sam Kennedy told reporters Monday. The team plans to accept the offer and is working to figure out a specific date. Championship professional and collegiate teams have been visiting the White House for decades. However, some have elected to decline the invitation because of differences with President Trump. Boston manager Alex Cora — who has been critical of Trump in the past — promised to use the platform in the “right way,” according to MassLive.com. 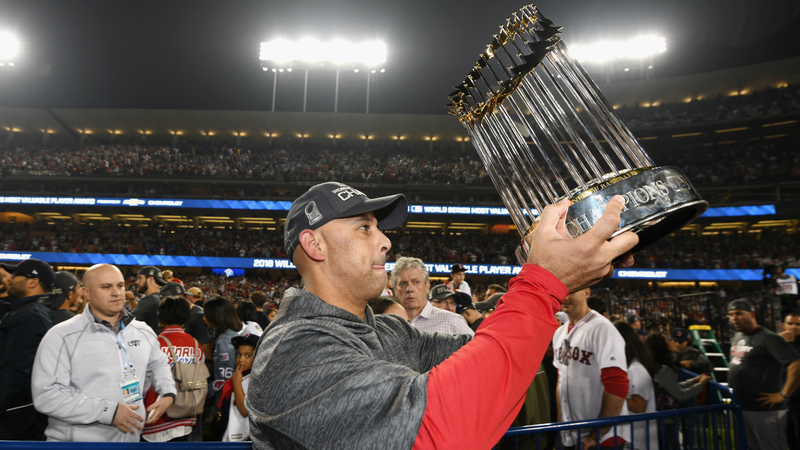 Alex Cora will go. Promises to use the platform in the “right way,” representing Puerto Rico.